I’ve been meaning to join in with But Why Mummy Why’s Little Loves for so long but this morning finally felt like the right time as I’m up extra early due to Mr C going off to spend the day at a car track. I feel like I don’t really share an awful lot about me on the blog these days, lots about the things I do but not so much about the things I like which is why I thought it would be fun to join in. I used to share so much on my blog in the early days, a lot of it I would never dream of writing now such as what contraception to choose and the gruesome details of childbirth (cringe!) and although I won’t be getting that personal I think it’s nice to know a bit more about the person behind the blog. Erm… I can’t actually remember one thing I’ve read which isn’t very good! I have such a massive pile of craft books so I must make more effort to look at them in the evenings. Well I definitely won’t struggle with this one! I honestly love watching telly, I considered getting rid of it altogether a few weeks ago though as I know if I didn’t have one I would be so much more productive in the evenings. Come 8pm it starts calling out to me and I can no longer focus on what I’m doing but on the other hand it helps me to switch off from everything and just zone out which is much needed after a long day with children! I’m currently loving all the repeats of Friends on Comedy Central, it’s been years since I watched them all but they never fail to make me laugh. I actually find I have quotes from the show going round my head at random points during the day, please tell me someone else does this?! I am also loving The Voice, it makes me all emotional, I love the way all the judges get on so well and I really want to be friends with Will.I.Am! Geez I am going to come across like a right loser aren’t I?! Others favourites this week include First Dates which is a show where single people go to a restaurant full of other people on first dates. It’s so funny to see when people don’t like each other at all and equally nice to see when people have that spark and decide to go on another date. Oh and Better Call Saul has started to get really good, although I haven’t watched the latest one. Last weeks was all about Mike who obviously featured in Breaking Bad, it was interesting to see it all from a different angle. I thought it looked really cheesy from the trailer and the first few episodes are a bit slow but I really like it, it has the same feel as Breaking Bad. Last weekend one of Cherry’s friends had a treasure hunt party in some local woods, it was such a great idea and I much preferred it to being in a hall full of screaming kids! We did all need to wear our wellies and lots of warm clothes though as it was FREEZING! I’ve become a little bit obsessed with James Bay lately, his voice is stunning and I also have a thing for men with long hair! This song is my favourite. I’ve been on a bit of a health kick this week and decided to stop eating refined sugars and cut right down on dairy. Thanks to Deliciously Ella this hasn’t been quite as bad as you might imagine. 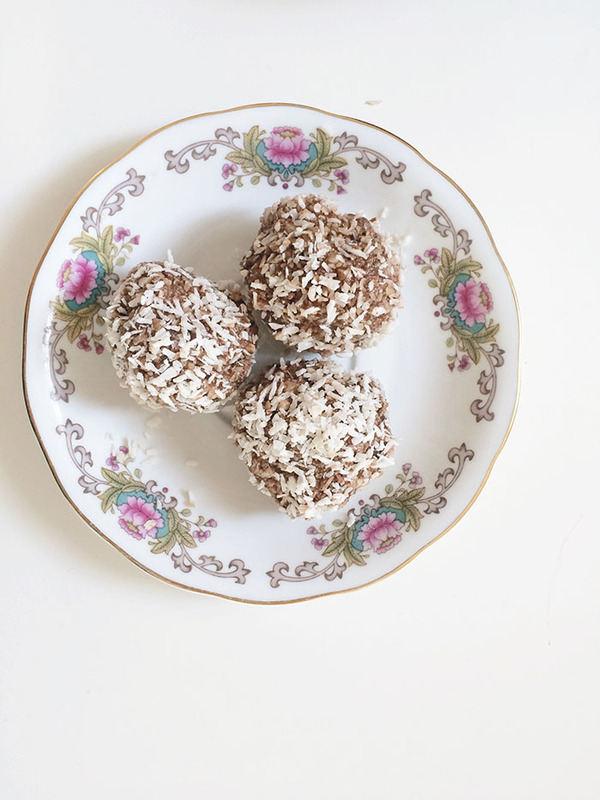 I made these coconut and cacao balls which are SO good. I have noticed such positive effects from changing my diet and really hope it’s a change I can keep up forever as I don’t want to go back to living off sugary snacks again. I have so much more energy and can actually focus properly instead of feeling dizzy and confused all the time. And although the first few days were awful as I was craving sugar and wanting to cry at not being able to eat it, I have stopped wanting it, for now at least. The test will be when I’m pre-mentrual! 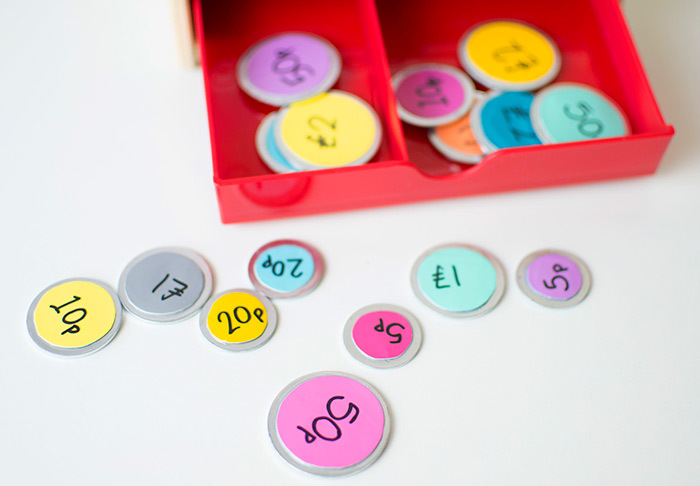 I also made this play money over on my craft blog out of metal washers so it feels like real money. You can read the post and watch my first proper video tutorial here!